New York, NY (LifeNews.com) -- The New York Times is well-known for its pro-abortion bias, but the Gray Lady is drawing praise from pro-life advocates after a news story and an online pictorial that includes pictures showing babies who are victims of abortions. One prominent pro-life advocate says she believes the Times is the first major mainstream media outlet to show them. On Saturday, the New York Times included a front-page, above-the-fold news story that presents a strangely fair portrayal of pro-life advocates who engage in street activism. Meanwhile, the Times' Photography, Video, and Visual Journalism online section features a photo montage showing the pictures of babies who died in abortions. 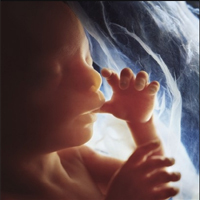 Monica Migliorino Miller, a Michigan pro-life advocate and professor at Madonna University, has taken so many pictures of babies killed in abortions she is regarded as an expert of sorts. She told LifeNews.com over the weekend that the Times show and online pictorial is "nearly unprecedented in 37 years of legalized abortion." "Perhaps for the first time in the history of the pro-life movement a nationally recognized paper -- or any newspaper for that matter -- has deliberately printed photos of actual abortion victims," Miller said. Miller talked about the genesis of the news report and online photo spread. "This is a story written by reporter Damien Cave who attended the memorial service for murdered pro-lifer, Jim Pouillon," Miller explained. "After the service, the reporter approached [me] and asked me about the use of graphic images in pro-life work. We later did a two hour interview and this story is the result." 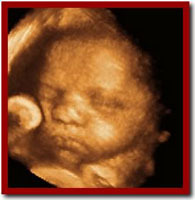 Miller was able to take the photos because members of her pro-life group retrieved the bodies of babies killed in abortion from the dumpster of a local abortion center in April 2008. "The two photos featured in this on-line edition are of a baby aborted by the saline method of abortion and the other is the foot of an unborn child murdered at the Women's Advisory abortion clinic in Livonia, Michigan," she told LifeNews.com. The photographs are graphic and detailed, showing the fingers or toes of aborted babies whose entire frames are no bigger than a cell phone. "This article is a coup," she continues, "and is sure to generate much debate -- but most importantly -- we need to pray that hearts will be changed." "Our goal is to show and tell the truth about the injustice of abortion. I hope this story helps awaken hearts and minds," Miller concludes. Miller encourages pro-life advocates to comment on the Times story and to thank the newspaper for running the photos online.